Happy Saturday!! I'm so psyched about the holiday weekend for the fact that I get a few days off from work! Phew, sometimes you just need a break! Right? Hopefully a long weekend equates to some much needed scrap time. Today, I have a couple of projects that I created for Creative Imaginations using Debbie Mumm's gorgeous Song Birds Collection. This is one of those lines that I fall more and more in love with every time I look at it. It's filled with adorable little treasures like the tiny peach flowers in the die cut pack to the clever little phrases that inspired the title for my layout. I started my layout by layering patterned papers, cardstock, and a border punched strip of wood to create the background. I lightly spritzed the lightest part of the background with Luminarte Butternut Radiant Rain Shimmering Mist. 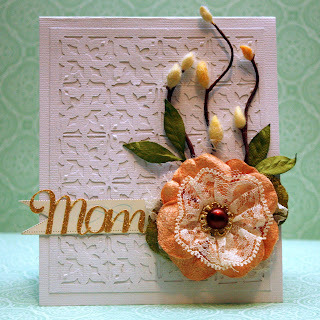 Since this line has a lot of nature elements, I added flowers, a berry spray, and jute to add to textural interest. I also layered a couple of birds that I fussy cut from patterned paper on top of a cardboard house from Basically Bare. I used a paint brush and Luminarte Butternut Radiant Rain Shimmering Mist to paint the chipboard photo corners. I used the design of the layout and some of the same elelements to create a frame. Thanks for stopping by today. Have a safe and happy Memorial Day weekend!! Hey there, I'm back with another Quick Quotes post. This month, the DT is creating projects featuring PowderPuff Chalking Inks. I created a faux letterpress look on my card by inking the raised part of an embossing folder with Pink Cheeks PowderPuff Chalking Inks. I placed my cardstock (the side that would face outward) over the inked raised side of the embossing folder. I ran it through my cuttlebug and voila-- I'm left with an inked debossed print. This is a very easy technique and the result is fabulous. The possibilities are endless, too! Try different colors and patterns to personalize any project. VELLUM TIP: make your vellum quote pop against any background by adhering it to a piece of white paper before attaching to your project. Hey there blog readers, I'm here with a blog post featuring none other than mom. Mother's Day was a couple days ago. Did you have a good day? I did, although it was pretty low key. I created this layout for Quick Quotes to serve as a thank you letter to my mom. Having such a close relationship with her has given me the ability to cultivate great relationships with other women. In essence, I have her to thank for all of the beautiful friendships that I have made and maintained over the years. This month, the Quick Quotes are not only focusing on Mother's Day projects, were are also focusing on the PowderPuff Chalking Inks. I love the subtle dimension that inking creates. I used Tahiti here to ink the edge of the vellum quote. 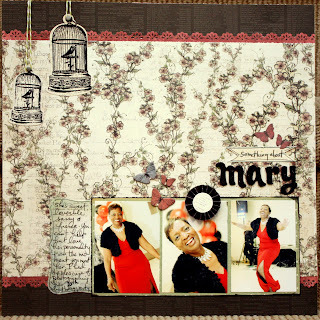 I used Bloody Mary on the patterned paper covered chipboard. Inking doesn't have to be tone on tone. As you can see here, I embossed the butterfly with white powder and then inked the edges with Tahiti to add a pop of color. 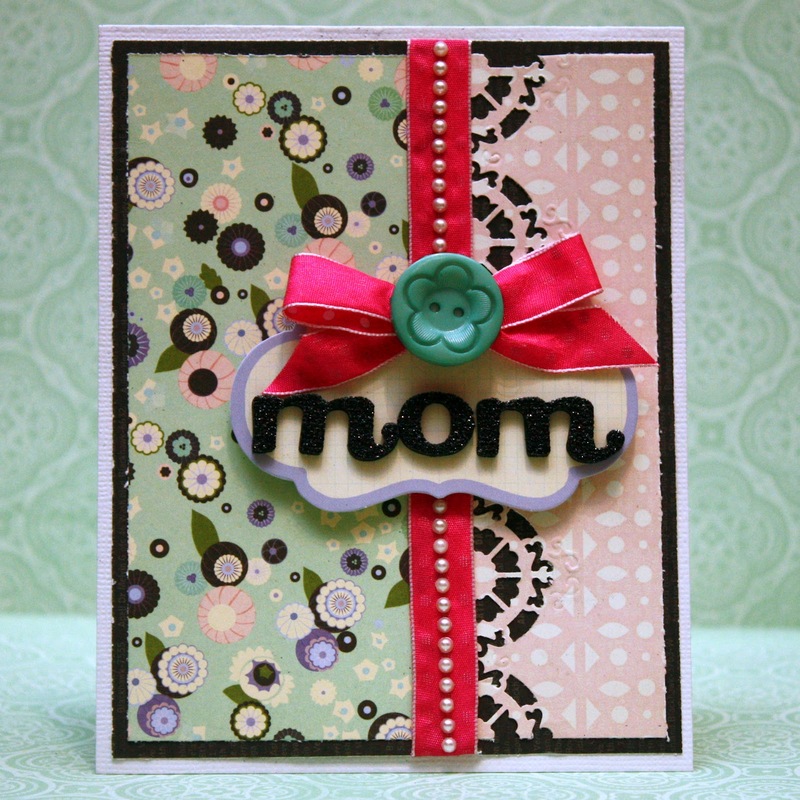 I created a couple of Mother's Day cards for the Purple Cows blog using a couple of the new CraftGeek punches. To see full instructions and details, check out the blog. I actually ended up giving this one to my mom on Mother's Day. She loved it!! Hey there blog readers!! Today I am sharing a review of my Easy Canvas Print. Easy Canvas Prints offers a really efficient way to turn your favorite photos into great quality canvas prints. I was offered a print from Easy Canvas for an honest review of the product. I was excited about the idea as I've wanted to turn a few prints into canvas for a while now. I decided to go with this adorable photo of me and my favorite 2 little guys. I visited the website which I found really easy to navigate, started the process and in just a few short minutes it was complete. When I received my canvas, I was really very pleased with the results. The canvas is a 16"x20"; the image on the canvas is just a sharp as the original photo, the colors are crisp and matched the photo image perfectly, and the canvas itself is very sturdy. My favorite feature is the border option. You have the option of choosing a mirror image, image wrap, or border color. I chose the image wrap because I think it adds visual interest. Check out Easy Canvas Prints on Facebook and turn your pictures into works of art as a gift for mom this Mother's Day. Believe me, you will not be disappointed!! Did you have as much fun on National Scrapbook Day as I did? Although I went to the movies with my guys to see the Avengers, I still managed to get some scrapping done. 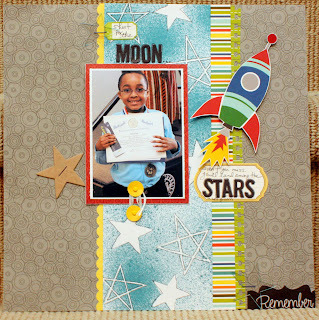 I participated in a couple of the challenges over at scrapbook.com and here's what I came up with. I created this layout of my star pupil for the misting challenge. The photo lifts up to display journaling and a photo of him shaking hands with our Mayor at the Breakfast of Champions Ceremony. I created this layout for the sketch challenge. (check out the sketch here) The photos are of my friend's future mother-in-law at her 70th birthday party. Yes, she is as fabulous as she looks, too!! Now for the winner of the NSD RAK challenge!! How about that? 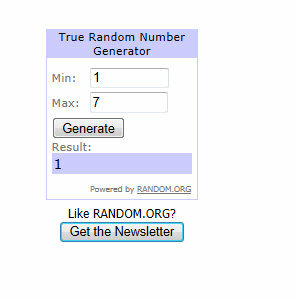 The winner is number 1, Christina Colon. Christina, email your addy to me at tanisharenee74@hotmail.com and I'll get your goodies to you. Happy Cinco de Mayo and HAPPY NATIONAL SCRAPBOOKING DAY!!!! As a scrapper, NSD has quickly become one of my favorite holidays! I love having an excuse to do nothing but scrap all day and participate in different challenges. Even better, I love all of the generosity in the air. 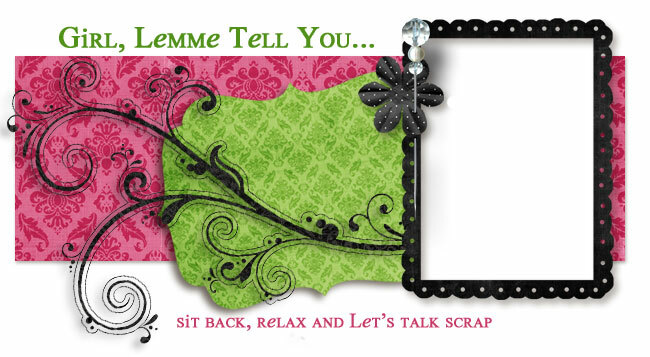 I will be hanging out over at scrapbook.com because they always have great NSD challenges and their prizes rock....I know because I won a RAK last year (and a few years ago). This holiday puts me in a giving mood, too. At the end of this post, you will find info on how you can enter to win my NSD RAK...but first I have a few projects to share. This is a special project for a special lady. I'm sure you are aware that April is over, which means Mother's Day is right around the corner. I used my 2 new favorite (for now) WOW Embossing powders, Clear Gloss Ultra High and Neutral Ultra Shimmer glitter and the Flowers background stamp to create this canvas for mom. I used Neutral Ultra Shimmer Embossing Glitter on the flowers, the canvas background and the photo corners. I love how the powders melt to clear glittery gloss allowing the color of the embellishments to shine through. 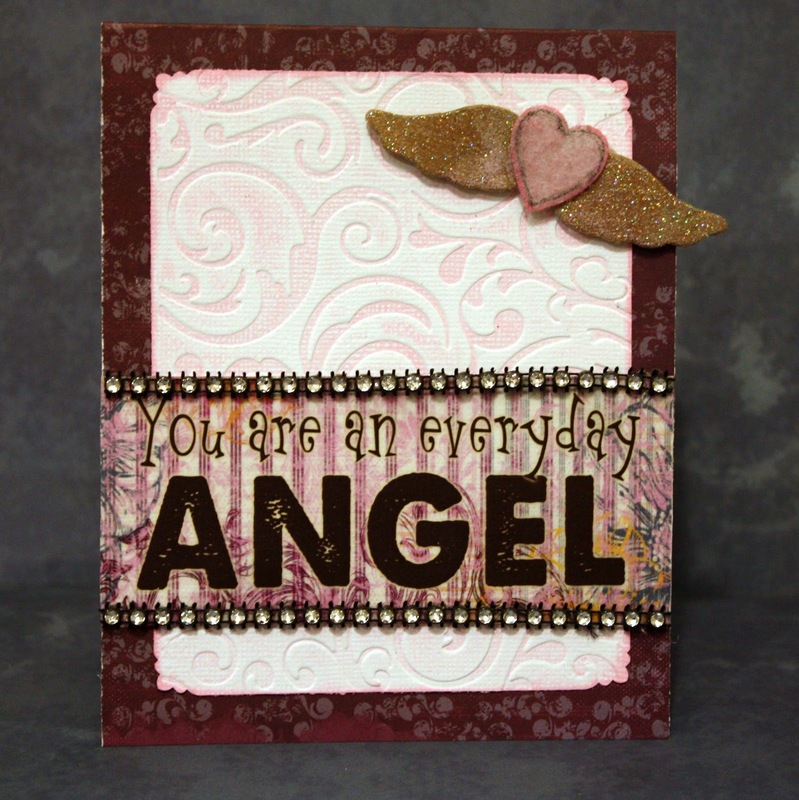 I sporadically stamped the background with the stamp and embossed with Clear Gloss Ultra High. I used several different inks to add color to the canvas and then used a damp paper towel to remove the ink from the embossing leaving a masked look. I have to admit, these 2 powders are addictive! I literally had to stop myself from covering the entire canvas in glitter! I created this next project for WOW Embossing Powders and the product swap week between Pink Paislee and Basically Bare. Anyone who knows me knows that I am a big Pink Paislee fan, so getting to work with the Indigo Bleu line AND my favorite Basically Bare products made creating this layout extra fun! 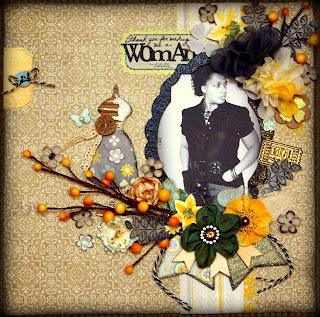 I used Basically Bare Pennants (large), Dress Form, Blossoms & Leaves, Fanciful Frames, and Birds as well as stamps and embossing powders from WOW. These pennants are some of my new faves!! I covered them with patterned paper, heat embossed using WOW’s neutral ultra shimmer embossing glitter and then layered with wood embellishments and flowers. I used the same powder on the canvas leaf and then outlined with Zig Memory System Millennium pen. I swear, I can’t get enough of the dress forms!! I peeled the top layer of cardboard off of the bodice, swiped with white acrylic paint and then covered with patterned paper, lace, and a wooden button. I like to add plain chipboard to a lot of my projects. I think the neutral kraft color gives the viewer’s eye a break. The Fanciful Frame is the perfect size for a 4×6 photo. I coated the one here with WOW’s Black Glint Embossing Glitter — love that shine! Last but certainly not least, is the acrylic birdie nestled among the flowers. I use a stamp from WOW Call Me stamp set and staz-on ink to stamp the script writing. I embossed the felt wing with embossing glittered and added a pearl to the eye. All you have to do is leave a comment here by 11:59 EST May 6th and you will be entered to win. I will randomly choose one winner on Monday May 7th. 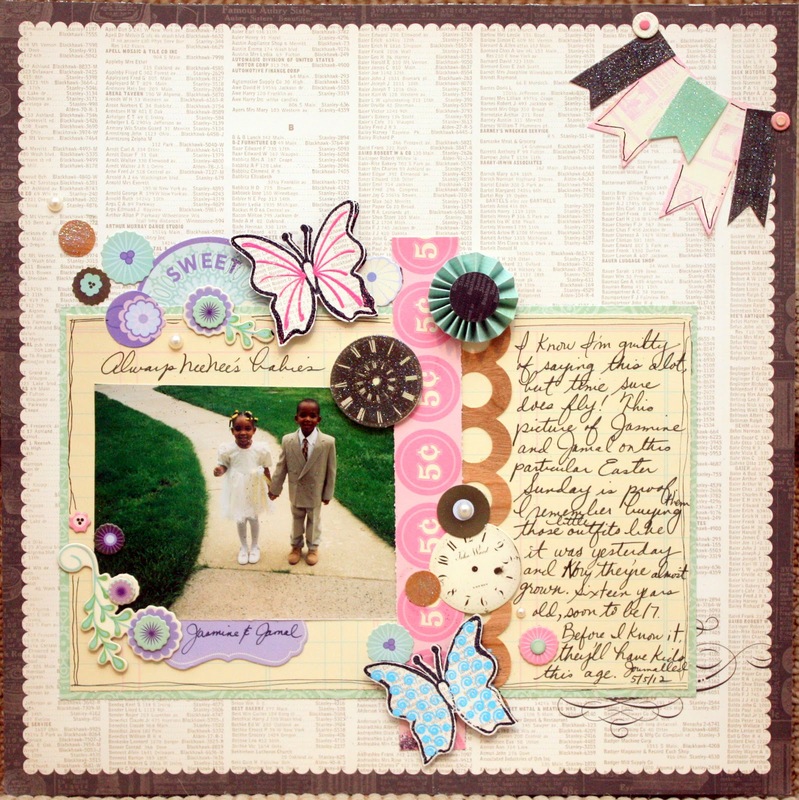 We're excited to celebrate National Scrapbooking Day with our Quick Quotes friends and fans! What better way than to have a fun blog hop!!! If you've hopped here from Barb's fabulous blog then you are well on your way and will continue to be treated to some wonderful eye candy from the DT members for our current blog challenge, fussy cutting. If you just happened to pop in on my blog, please join us...I guarantee you'll have a great time and gain a ton of inspiration. Be sure to leave comments on each blog and make it all the way to the end of the hop for a chance to win some great RAKs from Quick Quotes!!! Please visit the blog for full details how to play along with our challenge. For the fussy cutting challenge, I decided to go off the page and create this little birdhouse. If you've visited my blog before, you know I have a thing for birdhouses. 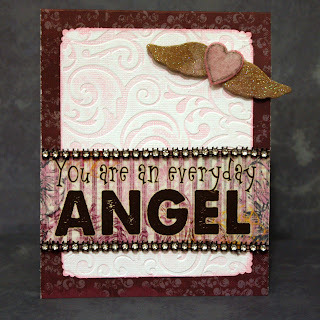 I kept this one sweet and simple with a burst of color using papers from Summer Samba. I inked the roof of the house with Blue Hawaiian PowderPuff Chalking Ink and then cut flowers from Summer Samba 400 and layered them over the entire roof. 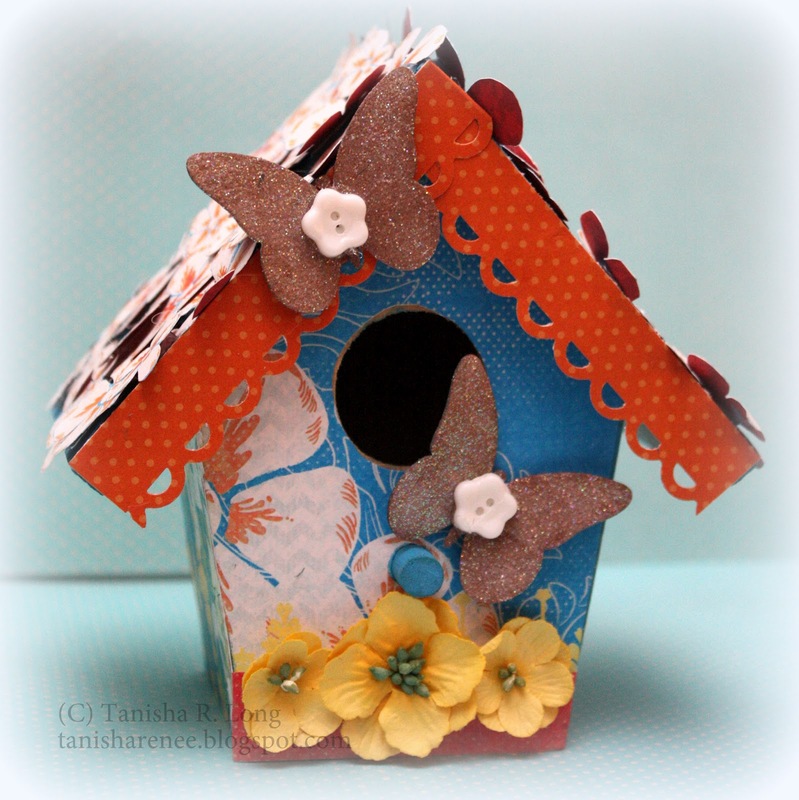 I covered the base of the birdhouse with Summer Samba 100 and added 2 Bag O' Chips butterflies which were heat embossed with WOW embossing glitter. Now you are on your way to the talented Rhonda's blog. Here is the hop sequence just in case you get lost along the way! Be a follower of this blog, get an extra entry if you refer a friend to be a new follower! Well would you look at that...another blog post this week. Woohoo!! Today, I'm sharing a couple of projects that I created for Purple Cows. Have you seen the new CraftGeek line, yet. If not, check it out on the website. I used a PunchIt on both of these layouts. 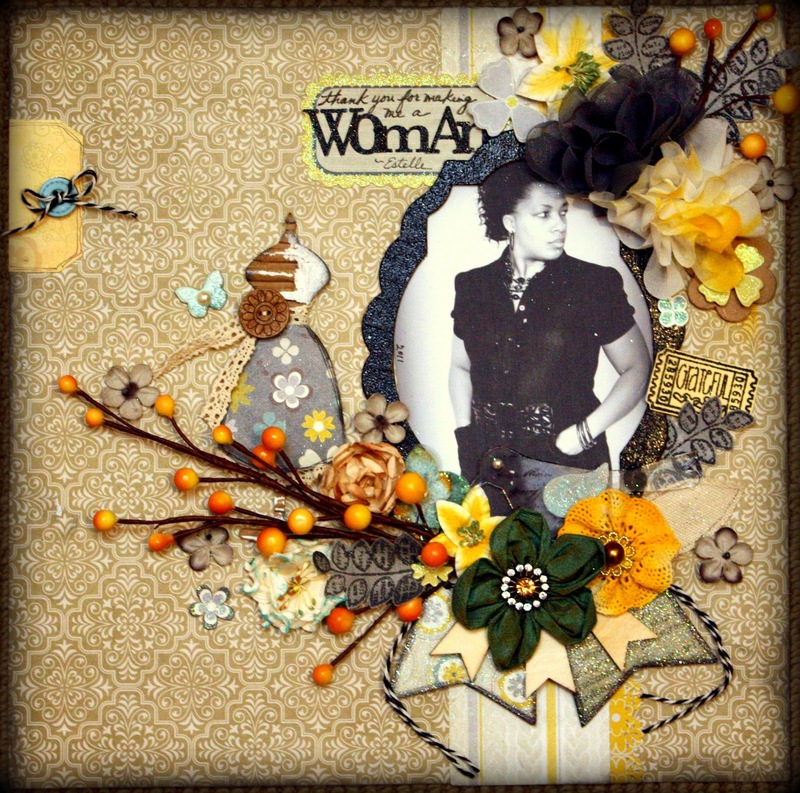 I used PunchIt Solstice and Creative Imaginations corrugated paper to create my own embellishments here. 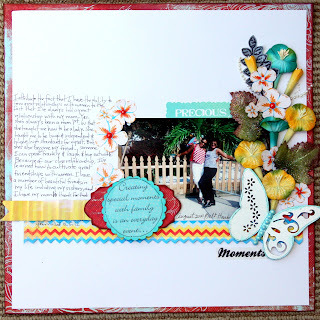 All other papers and embellishments are from Momenta. 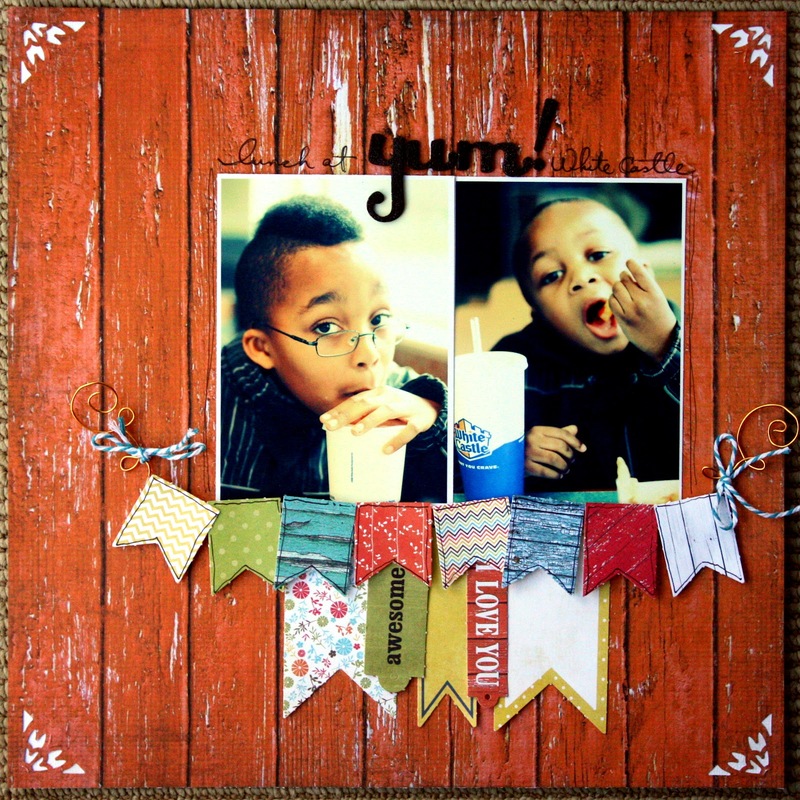 I used the PunchIt Autumn to punch designs in the corner of this layout to help frame the photos of my cutie pies and the WindIt to create "hangers" for the banner. Thank you for stopping by today!! Until next post...have a scrappy day!